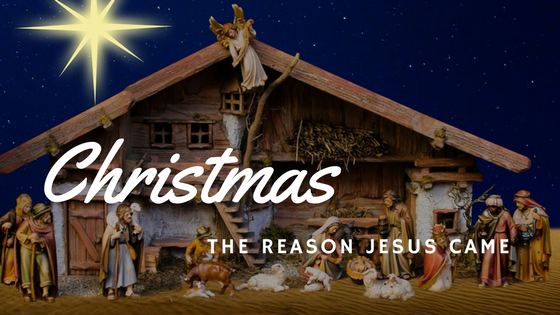 Christmas – The Reason Jesus Came to Earth! The festivities of Christmas have begun: family and social gatherings, decorations, baking, gifts, anticipation and excitement. But why was Jesus born? Why did He come to earth? Hallmark sells about 93 million cards for Father’s day and another 141 million for Mother’s day. Valentine’s Day tops that at around 151 million. Does anyone want to guess what the number of Christmas cards might be? Those figures come in at 1.6 billion! In spite of any push away from recognizing Christmas, these numbers speak for themselves. Christians and non-Christians alike place tremendous value in celebrating the birth of Jesus. Many of us follow traditions of previous generations, or have created our own traditions of how we celebrate Christmas. However, the significance of Christmas reaches far beyond traditions. The birth of a baby is an anticipated event in any family. New parents approach the day with excitement and concern while extended family wait to see, touch and smell the new addition. So it was for Mary & Joseph! When a mother was ready to deliver her baby, midwives would be called. Family and friends would congregate on the roof awaiting the announcement from a close but guarded distance. Following the birth, the midwives would take a broom and knock on the ceiling. Then they would break into jubilant song; their familiar chant announcing the details! Their predictable chorus would set the roof top guests into clamorous celebration! For Joseph and Mary, however, there were no midwives. Neither family nor friends attending the birth of this “unplanned” child. Alone, the Baby came! Only the sounds of chewing of cuds or gentle cooing from the rafters filled the night air. God could not and would not allow this birth to go unannounced! Angels were released to declare the song of the midwives! “But the angel said to them, “Do not be afraid. This Child, Jesus Christ, was not for limited purpose or design! This Child was “for all the people…Saviour!” The Messiah had come! Son of God and Son of Man, born to die, to take away the sins of the world. The journey to Calvary began in Bethlehem – for all! People continually misunderstood Him. Even for those who believed in Him, their hope of rescue clouded their vision. They wanted a king to set them free! Now! The One who always was came! The One without beginning or end “was born“! A king? Yes, but so much more! Every aspect of His birth was swaddled in the supernatural with angelic visitation and divine encounter. Yet, Jesus lived fully Man. At the same time, He was a fully natural demonstration of the fullness of the Father, the fulfillment of the law, revelation of love, and peace in a tormented world. Christmas! The Truth shining in all His brilliance came to a world unprepared – unwaiting! It is challenging to intentionally celebrate a Christ-centered Christmas. With Holy Spirit help, we can add a little more Christ to this Christmas. Several years ago we had a few guests staying with us over Christmas. We decided to share something we were each thankful for. As it turned out everyone around the circle talked about how significant their relationship with God and with family was to them. These moments had a powerful impact on a young visitor. He neither had a living relationship with Jesus or strong family connections. This simple time was transitional in his life. Small things can made a big difference! For this young man, Christmas became an encounter with the Saviour! Christmas is a reminder that real love is shown through sacrifice. For this Jesus was born, testifying with His life and death the truth in every respect. The Truth wrapped in swaddling clothes is love. ← Lovelessness! Choosing to Love More!